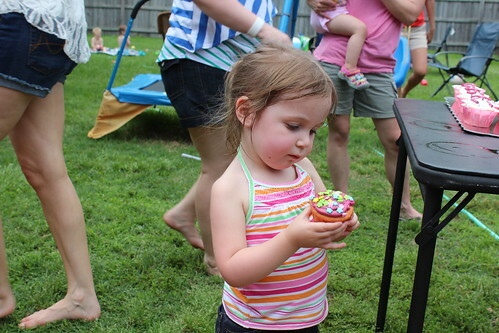 I’ve gotten a little bit out of the habit of blogging my baking adventures, but rest assured, they continue. I’m trying to keep my cooking/baking obsession somewhat under control but so far, I’ve not been very successful. I made a new cinnamon raisin swirl bread the end of last week which I had every intention of taking to Stuttgart and sharing but, naturally, it got left on the counter in the kitchen. So, we’ve been enjoying it ourselves. The only real rub is that Mr. Iknead and I just can’t eat the baked goodies fast enough and sometimes they go stale or even moldy. I think I might start sharing with the neighbors, would that be too weird nowadays? Growing up, we always shared back and forth with neighbors, but that was then and we knew our neighbors well. Now, though, we don’t, really, just mostly to wave when we see them outside. Could this be a sign to break out of my cocoon and reach out? I think it might be just that. I’m thinking of banana bread today, that would be a good start. Anyway, I wanted to share this recipe I tried last night that was so good – it was comfort food and crazy easy – Slow Cooker Salisbury Steak. Here’s the link. I fixed mashed potatoes to go with it and it was divine! Real potatoes, too. I know what my lunch is going to be! 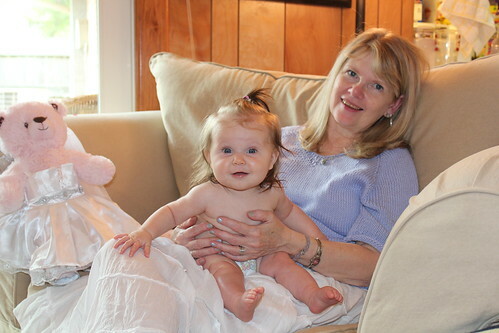 Can you stand a few more pics of the smartest, most beautiful grandbabies in the universe? I thought you could! That’s the Karma sweater I’m wearing. Turned out well, don’t you think? 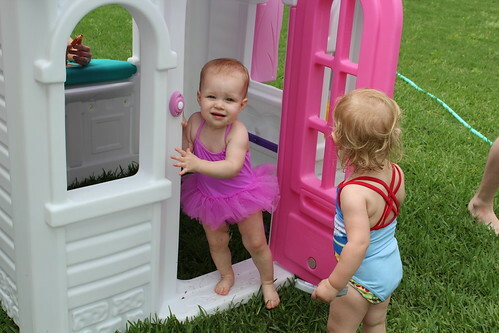 Babydiva in her Tutu – How Cute Is That?